My friend Mel invited me to her big family Xmas get together. With about 30 people bringing all lots of delicious food together, boy was I lucky to be at this lovely family affair. A slightly delayed post but this absolutely brings Xmas back to life. My tastebuds are dancing right now by just looking at the photos. The giant ham (above) which was being glazed repeatedly was succulent and delicious. It was giant sized though and I was left thinking even with 30 people, how are they going to tackle this?? 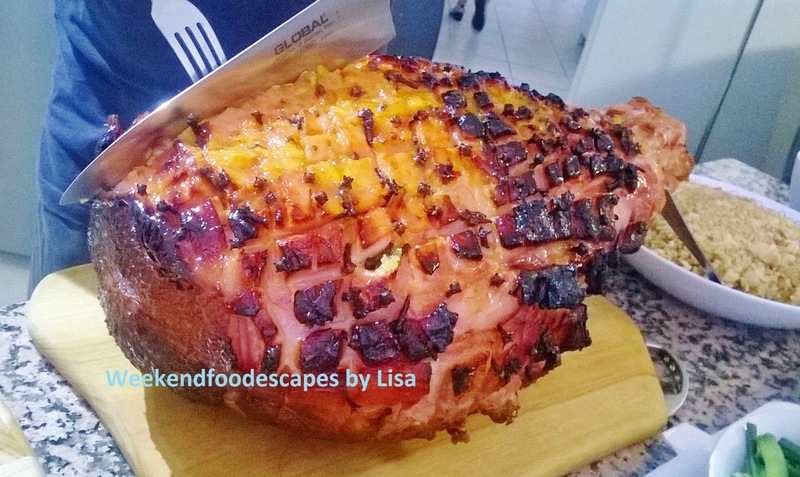 There was a lot of ham left over in the end due to the enormous size. 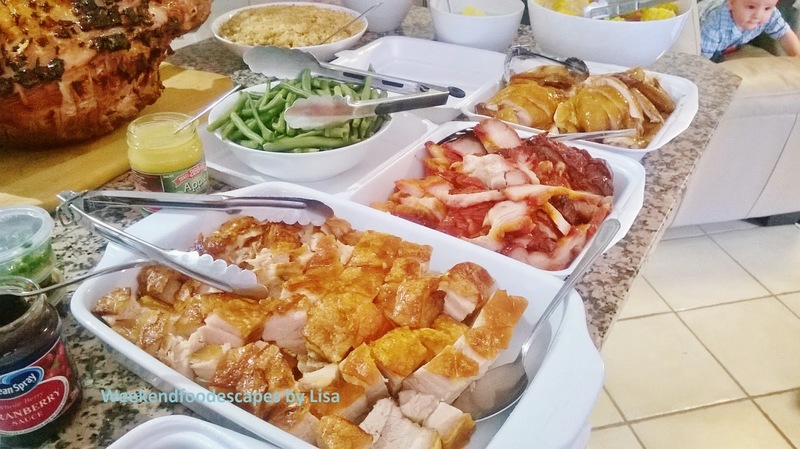 I also tried an assortment of other delicious forms of pork and duck (below). 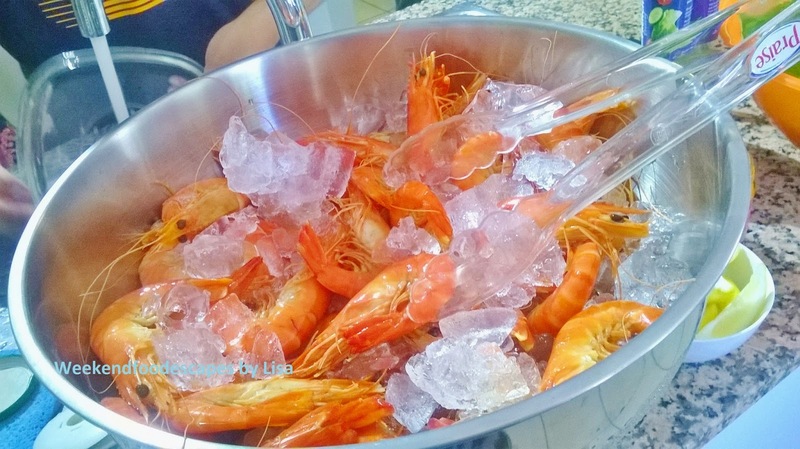 I also enjoyed my favourite seafood - prawns with one of the Uncle's secret seafood sauce recipe. Yummy! Thanks for the invite Mel! 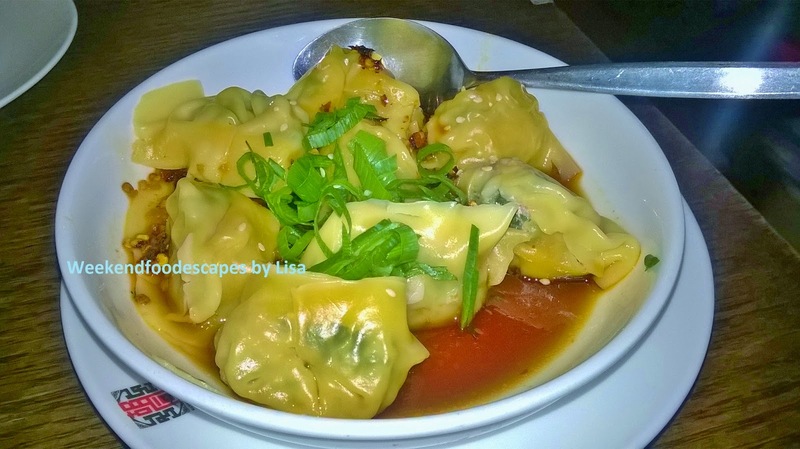 One of the most consistently liked restaurants on Urbanspoon in Melbourne is HuTong Dumpling Bar. I've been coming here for years for delicious sweet chili dumplings and other delicious Chinese dishes and I have yet to be disappointed. At times, this multi-floored restaurant can be booked out so I suggest arriving early or making a booking. I think it's a very reasonably priced restaurant that is consistent and worthy of multiple visits. 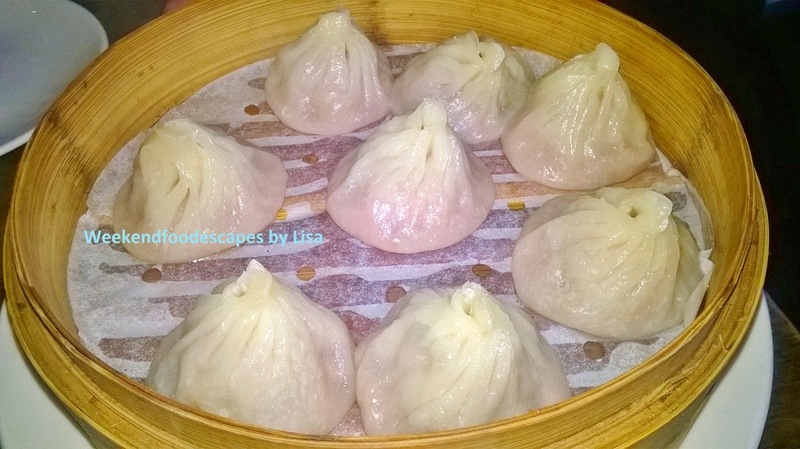 The Xiao Long Bao (soup filled dumplings) are $11.80 are lovely to eat with a mix of soy and vinegar sauce. The skin is slightly thicker than my local Sydney favourites such as Din Tai Fung or Taste of Shanghai. Xiao Long Bao just brings all sorts of wonderful together. 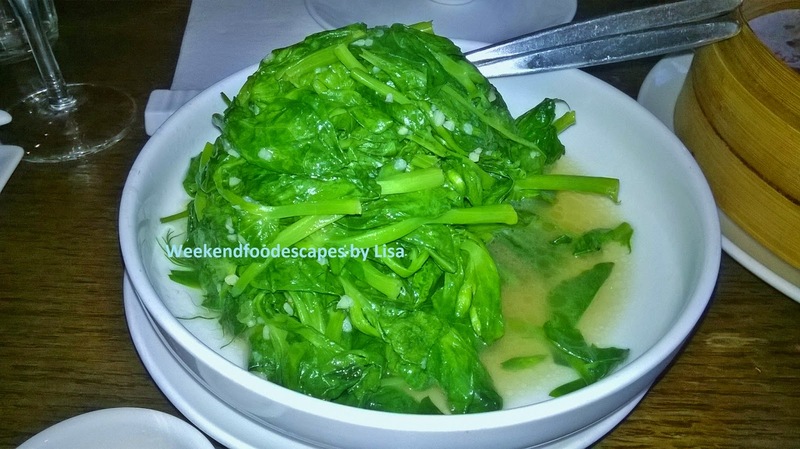 For some greens, I had the sauteed snow pea shoots with garlic which were $16.80. I misheard the waiter and was expecting snow peas but the shoots were nice. 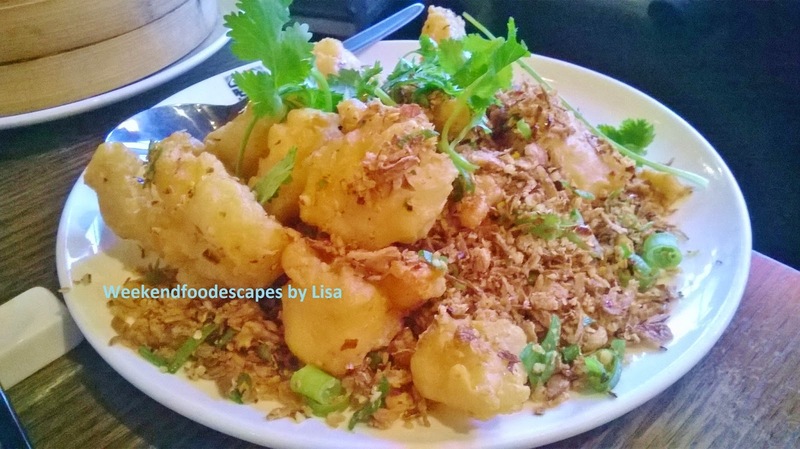 The deep fried salt and pepper prawns were $26.80 were crunchy with salty flavours. I wish I ordered more wisely to really cut through the batter. I suggest ordering something liquidy to cut through the batter. Overall, another great experience and I'll be back when the opportunity arises. Location: 14 Market Lane, Melbourne CBD. 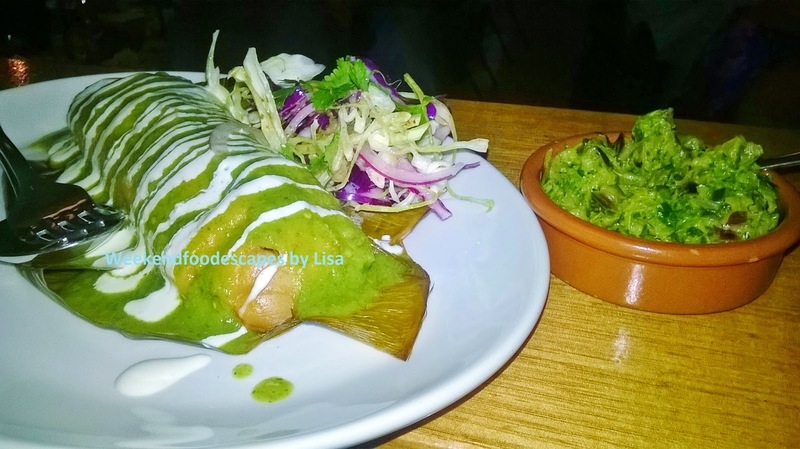 Mamasita is one of the most popular restaurants in the Melbourne CBD with long queues leading up to its entrance. 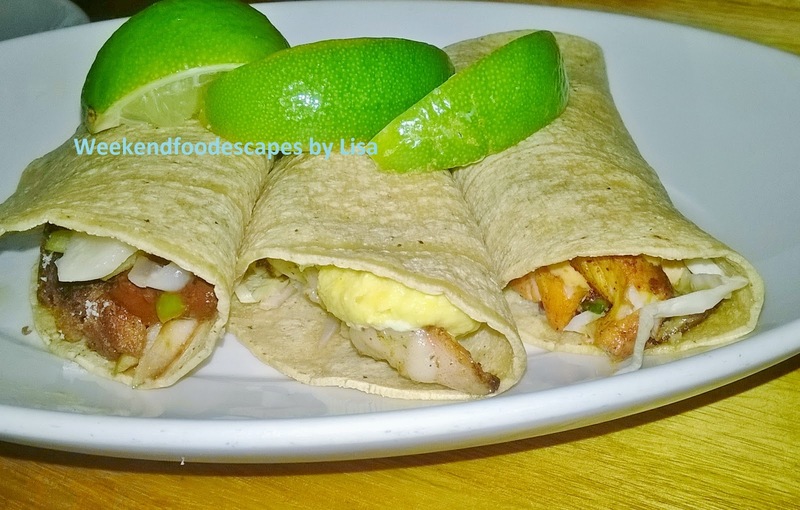 The very trendy Mamasita has a variety of tasty Mexican dishes to tantalise your taste buds. The trendy decore makes it a great venue to catch up with friends. I'd definitely suggest going early if you want to avoid the queues. 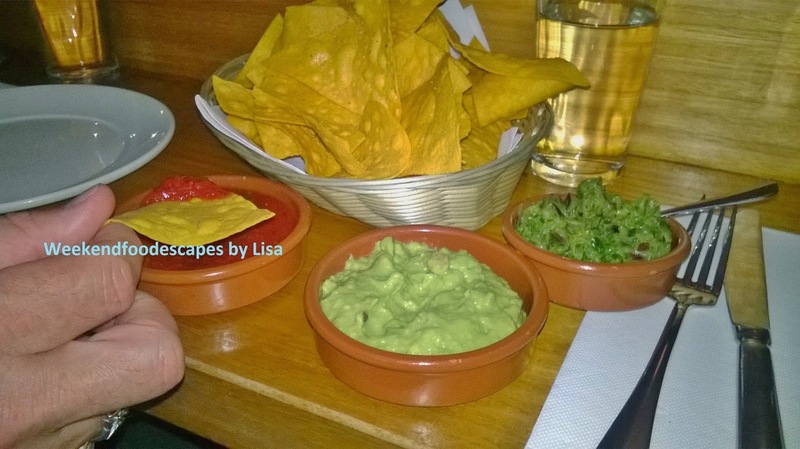 First up was the Totopos (Tortilla Chips) with guacamole and salsa at $9. Pictured below, I really loved the big crunchy chips. The salsa and guacamole were freshly made and worked well as a starter. To share; I ordered the Tamal De Carne De Res ($14) which was the Beef Brisket Tamale, tomatillo salsa, goats cheese crema and slaw. It was a bit spicy but the beef was beautifully cooked. I also ordered a few tacos which included the must order De Puerco ($6) which is the Al Pastor-Style Pig's cheek, fiercy apple and white cabbage (below left) which was absolutely delicious. In the middle was the fish taco called De Pescado ($6), this taco included grilled market fish, red onion, salsa, lime with chipotle mayo which was not bad. The bottom right taco was the De camarones ($7) which had marinated prawns, creamed corn puree, epazote and jalapeno crema. The tacos are the size of your palm so I would suggest two per person at a minimum. Hukuya Restaurant is the most popular Japanese Restaurant in Eastwood. 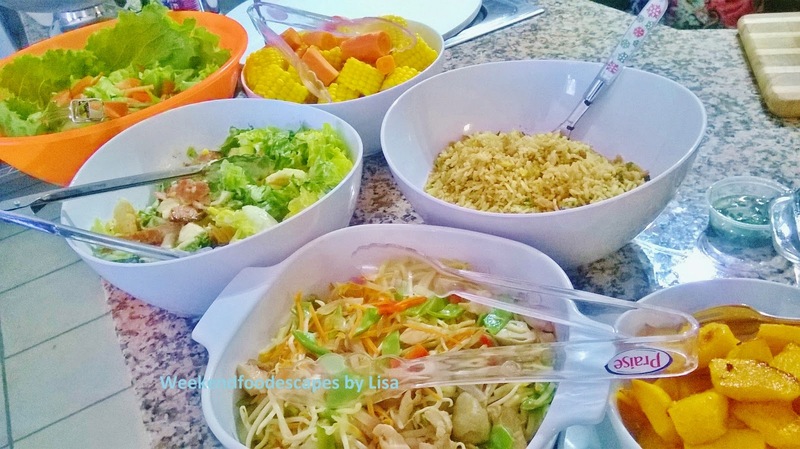 Located right by Eastwood Station, Hukuya is always full so you should book a reservation. There are other great Japanese BBQ restaurant and hot dishes on the other side of the Eastwood station but Hukuya is the place for Sashimi in Eastwood. Tatsuya in West Ryde also gives Hukuya a good run for its money. The takoyaki balls (pictured below) was $8ish. 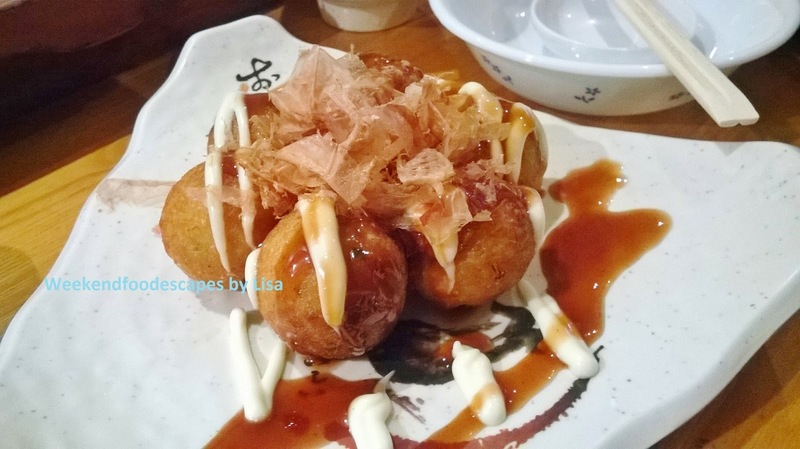 Fluffy potato balls with squid pieces inside are one of my favourite Japanese entrees. It's drizzled with mayonnaise and topped with floss. 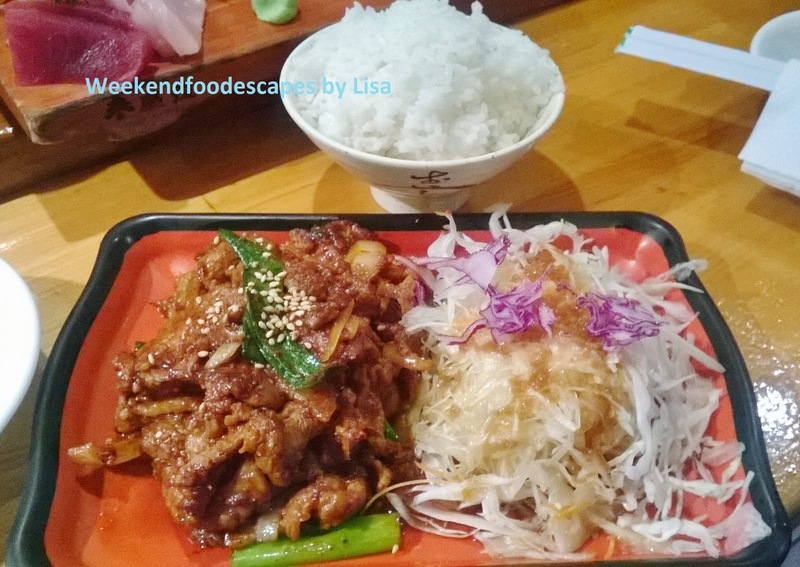 The very popular Spicy Pork Yakiniku ($13ish) contained pork fillet with shallots stir fried with a hot spicy sauce. Served with a side salad; this dish was very tasty to eat. It was recommended by the waitress. The sashimi and sushi combination platter ($20ish) had sashimi of salmon, king fish and tuna. The Sushi had eel, salmon and tuna nigiri. Everything was nice and fresh. Location: 25 Railway Parade, Eastwood. Only 1 minute from the station. I am normally a massive fan of Snag Stand. There's something really comforting about their food but there seems to be some teething issues. I am hopeful that with time that all will be healed. I'm not sure how to describe this but the food is put together but not quite well as the CBD chain. The underlying Snag Stand flavours are there but it's not quite the same as the CBD Westfield experience. The Toulouse Vegetarian ($9.90) Hot dog was suggested for a vegetarian sibling of mine as the most popular vegetarian hot dog. 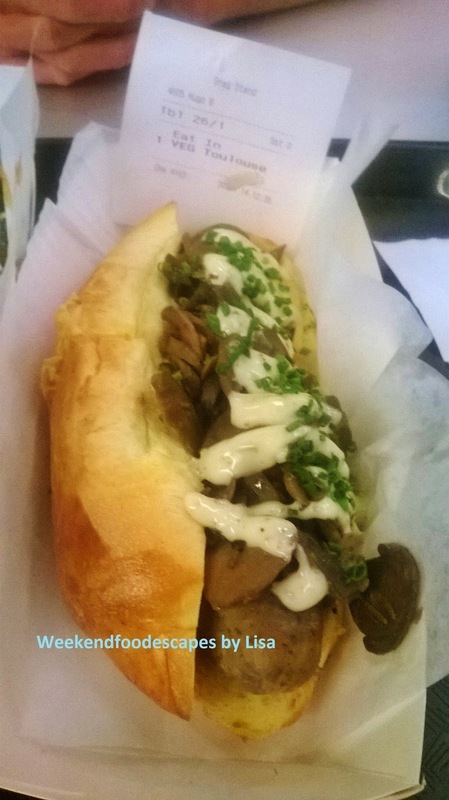 It was a veggie potato, sage sausage with sauteed onions, rosemary mushrooms, truffle aioli on a toasted brioche roll. It was a tasty hot dog. 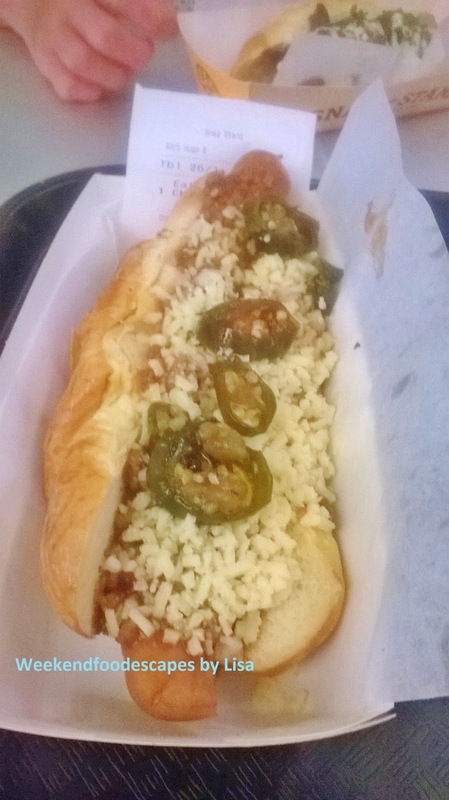 The Chilli Dog ($8.90) was with frankfurt with chilli beef sauce. onions, cheddar cheese and roasted chilli peppers on a toasted brioche roll. It was drowning in all the ingredients. With some more simplicity, the dog would have a lot more potential. 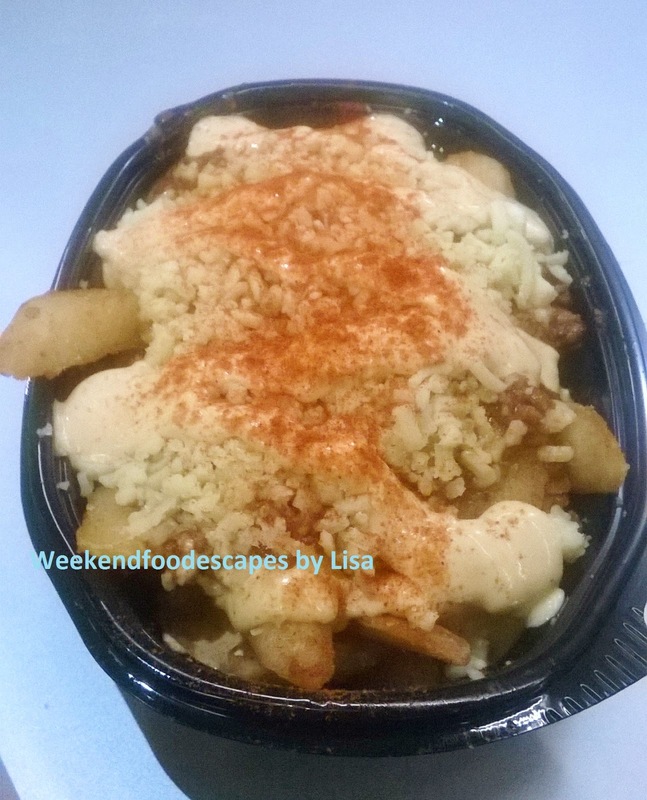 The Chilli Cheese Fries (below $7.90) had chilli beef sauce, cheese, chipotle, aioli and paprika which made all the chips soggy. Keep it simple! Location: Right across from the cinema in Macquarie Shopping Centre, Corner of Waterloo Rd and Herring Rd in North Ryde. 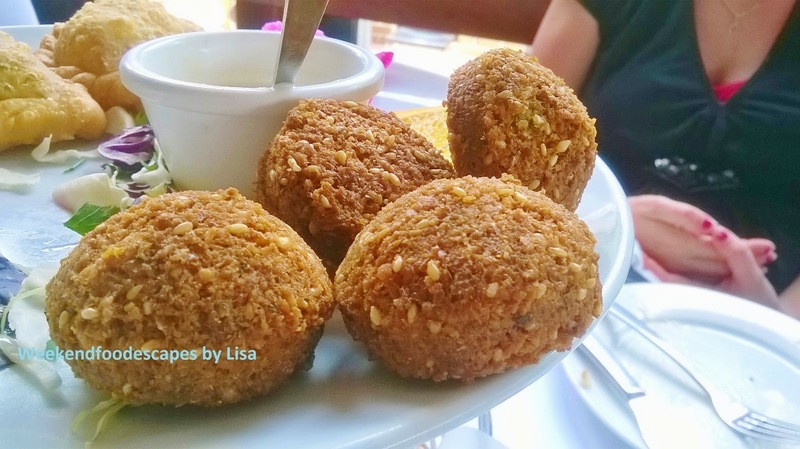 The 76% like rate is well justified for Cedrus Lebanese Restaurant. Sharing is the name of the game and if you are coming in a large group then I would definitely suggest one of the Banquets. My friend had his 30th here and the restaurant and the food was perfect for a relaxing but lively Birthday. There are large tables available if you have a lot of friends or a large family. 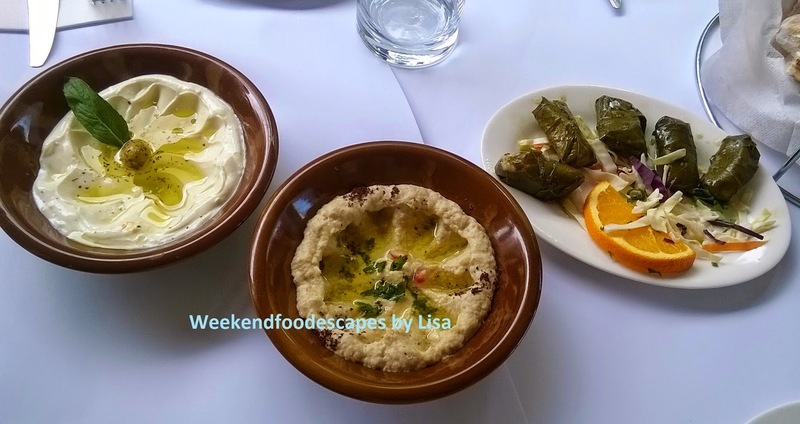 Banquets start from $45 with 13 different dips, nibblies and meats (Eg. Hommus, Babaghanouj, Labne, Fatoush, Tabouli, Vine Leaves, Falafel, Samousik, Arnabeet, Potato Coriander, Lamb Skewers. 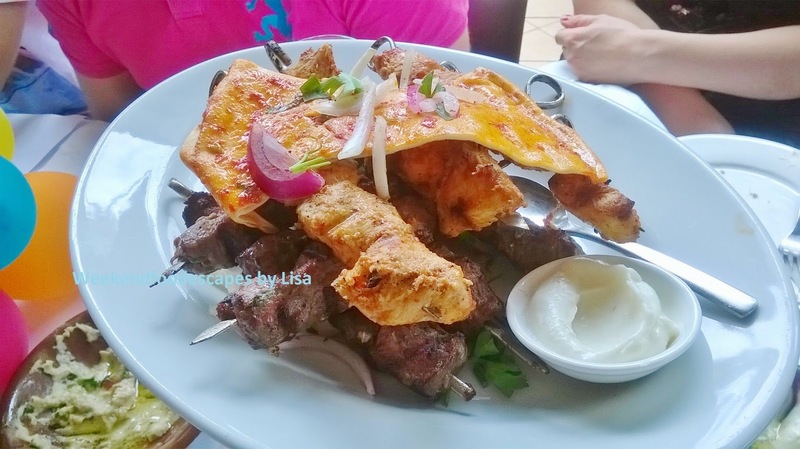 Chicken Skewers and Kafta Skewers). Or you can go a bit more lush and go for $55 or $65 banquets with additional tasty dishes. 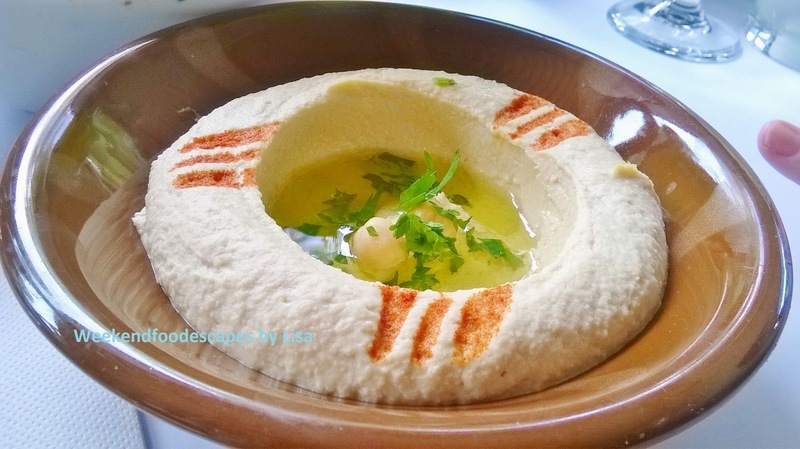 The food looked amazing and as always you start off with dips and breads at Cedrus Lebanese Restaurant. I thought the dips were beautifully presented. I had my fair share of Lebanese Bread (both fresh and deep fried) with the Hommos, Babaghanouj and Tabouli. 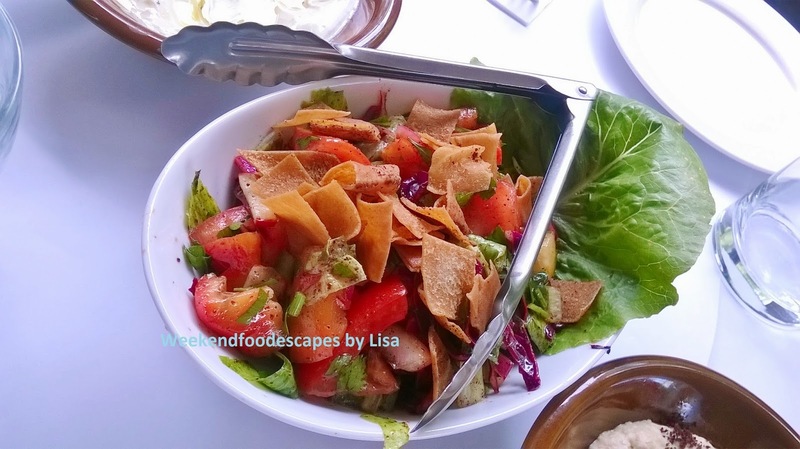 One of my new favourite salads has to be the Fatoush (below) which is a bit naughty with fried Lebanese Bread bits with tomato, onion, capsicum and herbs. All the appetizer type dishes were just fresh and well put together. 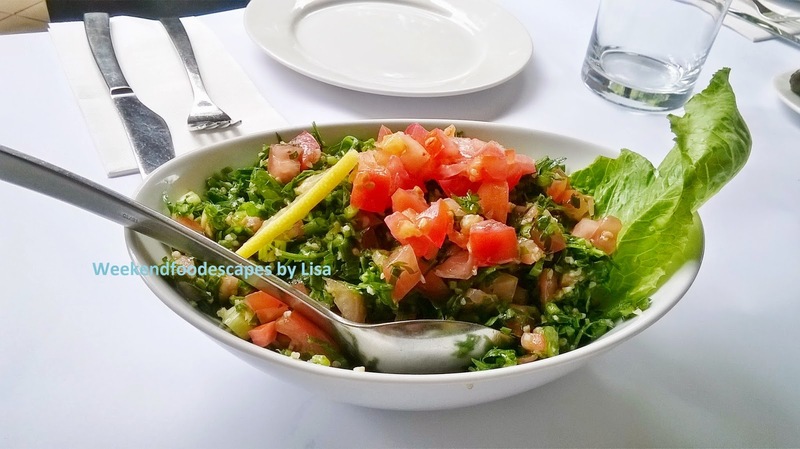 The Tabouli (above) had a good balance of flavours of zesty lemon and parsley. You need to save some room for the hot food though. 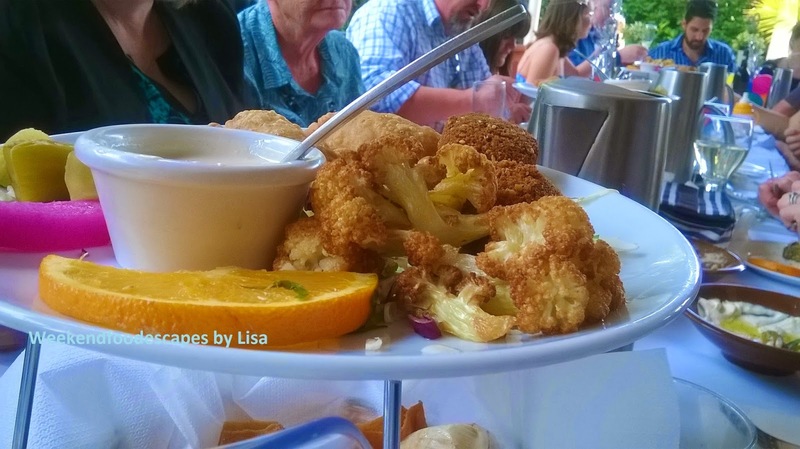 There was a plate of hot food which had fried cauliflower (which is called Arnabeet, above), pickles, falafel and curry puffs (which is called Sambousik, below) which is a bit more substantial following the dips. Again, everything was well prepared and very tasty. It's nice to have a bit of diversity and variety in the food which is why banquets are amazing. If you do have any room left then continue onto the potato coriander and the meat skewers. The meat skewers were a bit dry to be honest but the restaurant was catering for about 50 people for my friend's birthday and most people filled up on the dips, appetizers and the warm platter so the meat platters were not quite so empty at the end of the day. 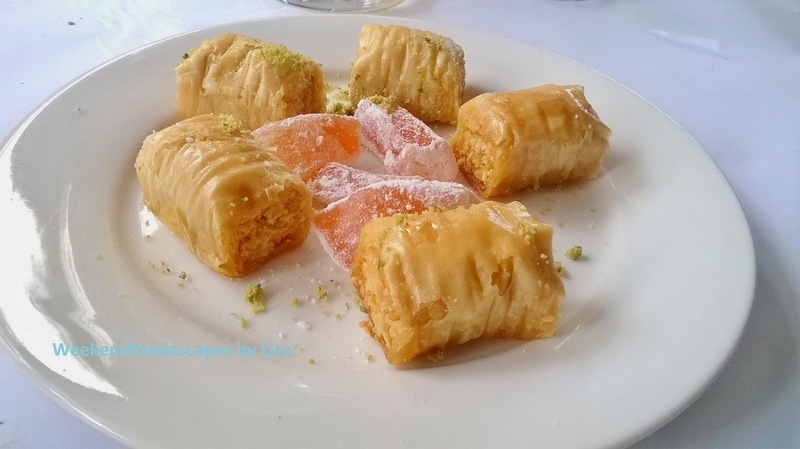 For dessert, I had some baklava (below) which was lovely - Sweet pastry layers of filo with chopped nuts and all sugary with syrup. 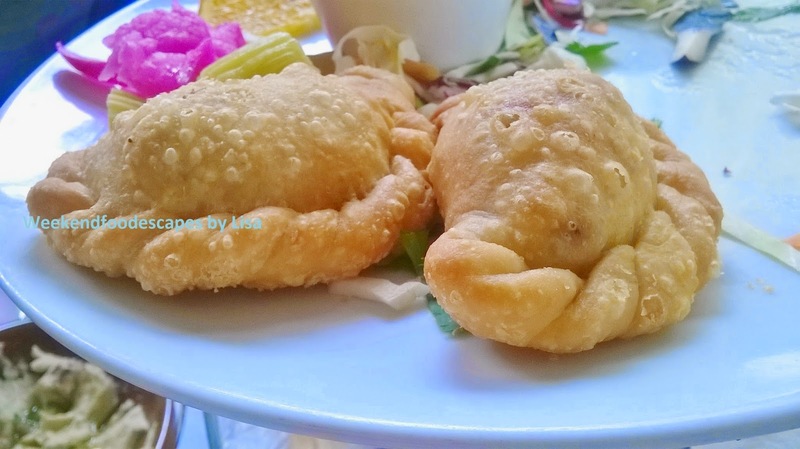 Overall, I had a great time at Cedrus Lebanese Restaurant. The area definitely needed a restaurant like this. You'd have to venture out to Granville or Bankstown for a great feast otherwise. Beautifully presented food in a clean and lively venue. If you are not keen on the banquet then you can get a few dishes to share ranging from $12 to $24 for the meat dishes. 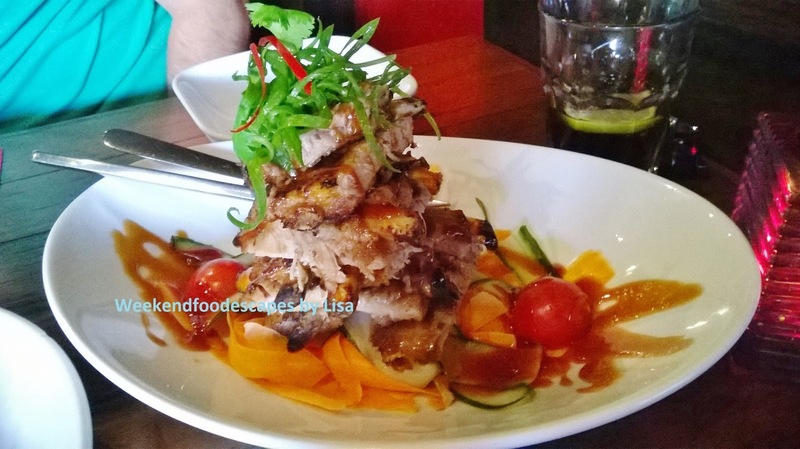 Redspoon Thai is slightly posh Thai with two stores in Ryde and Gladesville. 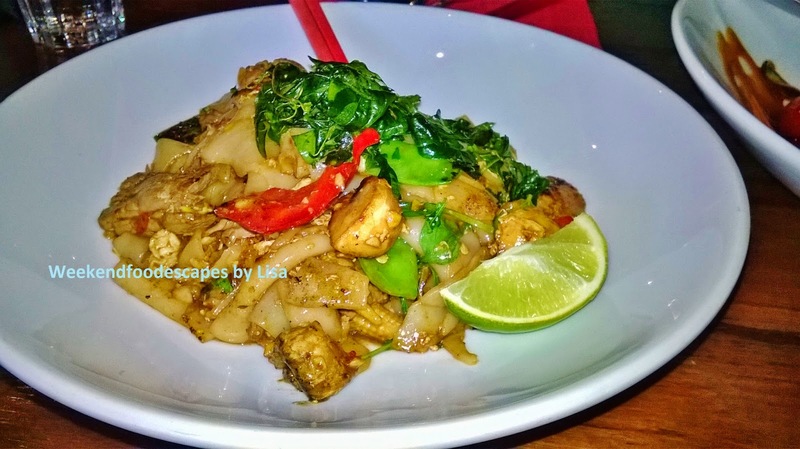 There's a lot of competition with Thai in Gladesville but Redspoon is one of the higher ranked Thai places. It's 72% like rate is probably slightly too generous. I think it's popular because it's clean, good customer service and the decore is nice. 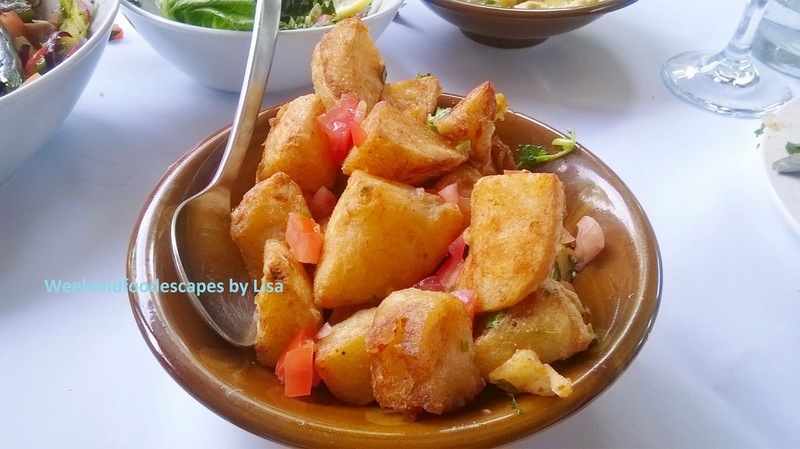 I would prefer some of my other locals such as Thai Curry in West Ryde. 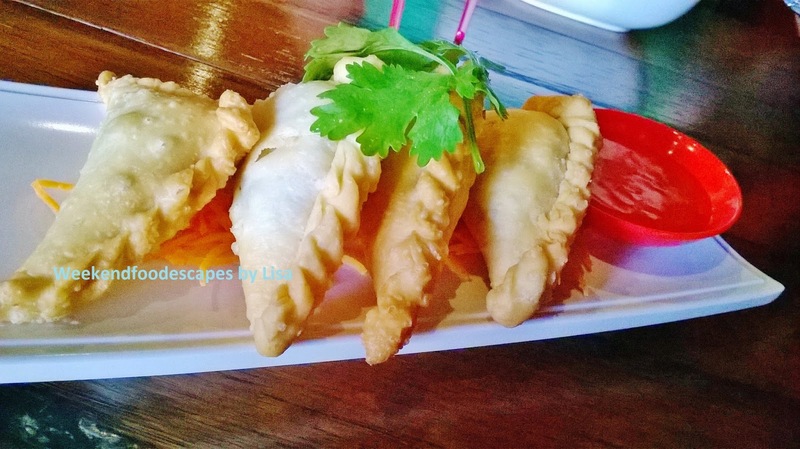 The Curry Puffs (below) were $6.90 were crispy and filled with vegetables. They were solid but nothing special but exactly what I was looking for. Something crunchy to start the meal with. The Pork Spare Ribs ($22.90) were cut up and piled up among radish-ed vegetables. If you are looking for a substantial meat dish then do not order this dish. I would suggest sticking to some of the other dishes. I ordered the flat rice noodles with chili and basil with chicken ($15.90). There were generous amounts of basil. Everything else was well cooked. Nothing too amazing. 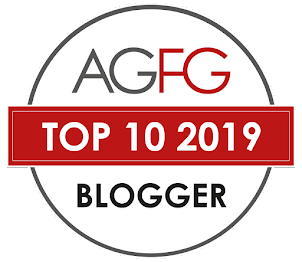 Overall the customer service was good, decore was good. Food was good but nothing too amazing. 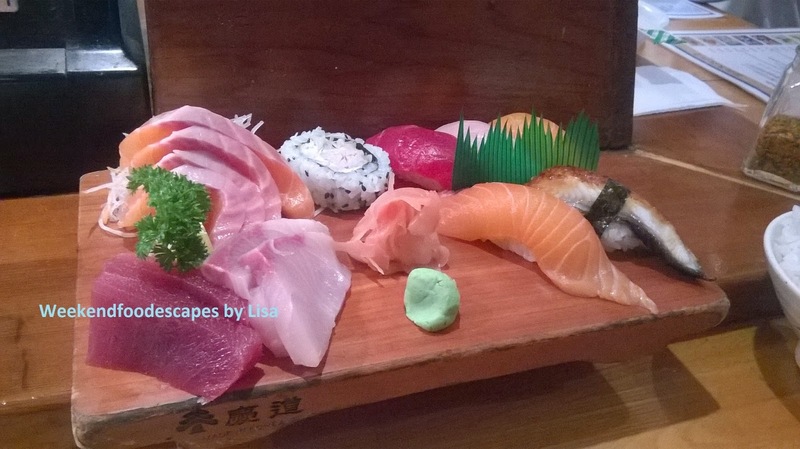 Takeru Restaurant is for value, tasty, fusion Japanese food that I have enjoyed for a decade or so. It's great for a casual dining experience in the city. The city restaurant is quite small and the furniture is small so don't come here with any 'bigger boned' friends. It's not known for it's fresh sushi or sashimi but for cooked dishes, I quite like it. You have the option of ordering full sized dishes or you can also opt for the half size dishes so you can try of a variety of food! 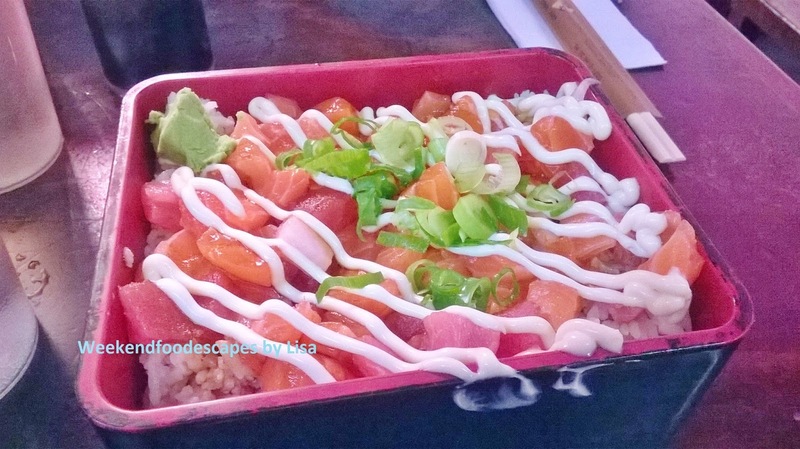 The must have to order dish has to be the Kaisen Don ($12.50ish) which is a bed of rice with a layer of salmon, tuna, spring onion, mayo and wasabi. Pour a dash of soy sauce and mix up all the ingredients, be careful with the wasabi and enjoy a delightful mouthful of flavours. It's a simple dish but it's just enjoyable to eat. The Kaisen Don is pictured below. 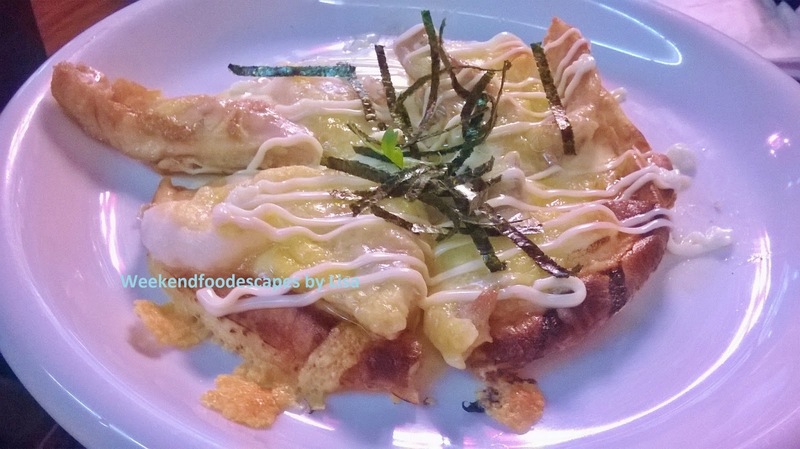 Takeru Restaurant also has a number of pasta dishes which aren't quite conventional. The half sized Salmon Pasta was a generous portion (pictured below, $7.50ish) is served with broccoli. It's worth trying one pasta dish. 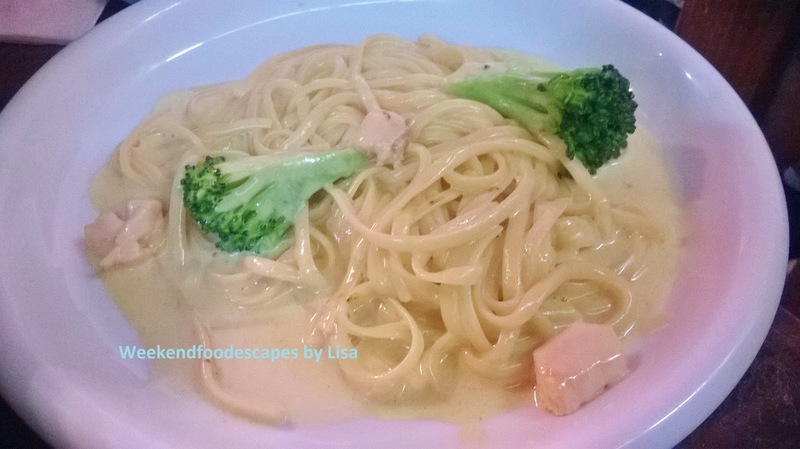 The sauce can be a bit rich but that's what you would normally expect from a white sauce. 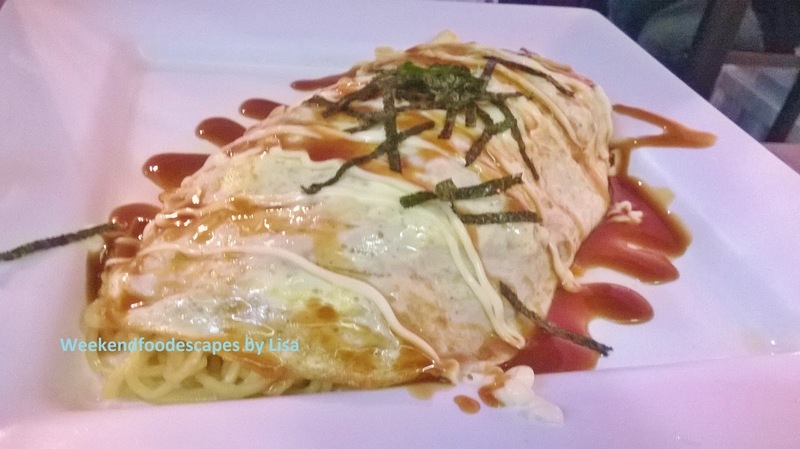 Another best seller is the omelette with noodles ($12.50). 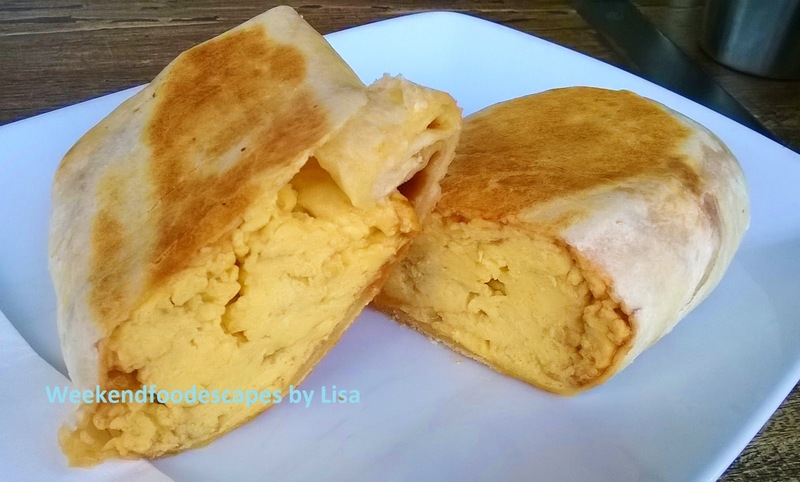 The egg omelette (pictured below) holds in the noodles in the middle. It's a dish you should order every now and then as it's very filling with all the noodles and it can really add even more richness in your meal. It's delicious! My other must have dish is the chicken and flour dumpling pizza. Served on thin lebanese bread, the pizza is best served with a dab of tabasco sauce which perfect contrasts with the cheese, mayo and chicken/dumplings. It's just a rare combination of things put together that I absolutely love. I have not seen this dish on any other Japanese menu ($10ish). Pictured below, the photo just doesn't do this justice. Location: Town Hall is the closest train station and it's about a 10 minute walk to 339 Sussex St, Sydney. I suggest you walk down to Hungry Jacks on George st then head down Sussex St as the closest intersection is Liverpool St and Sussex St.
Its 94% like rate is probably generous based on my experience at Upper Crust Boulangerie. I decided to see what sort of breakfast they have in Breakfast Point which led me to check out the eatery Upper Crust Boulangerie. Upper Crust Boulangerie are more known for their sugary pastries, baked goods and cakes more so than breakfast so I might have to come back to check it out some time. For a reasonably priced breakfast, consistent and nothing too hipster or fancy... check out Upper Crust Boulangerie. I ordered the "Eggs my way" (my preference was two scrambled eggs in a toasted wrap with BBQ sauce) at $10.5. It was not bad (pictured above). I guess you can't really go wrong with eggs your way. What you order is what you get. It's pretty simple. Everything was cooked well. 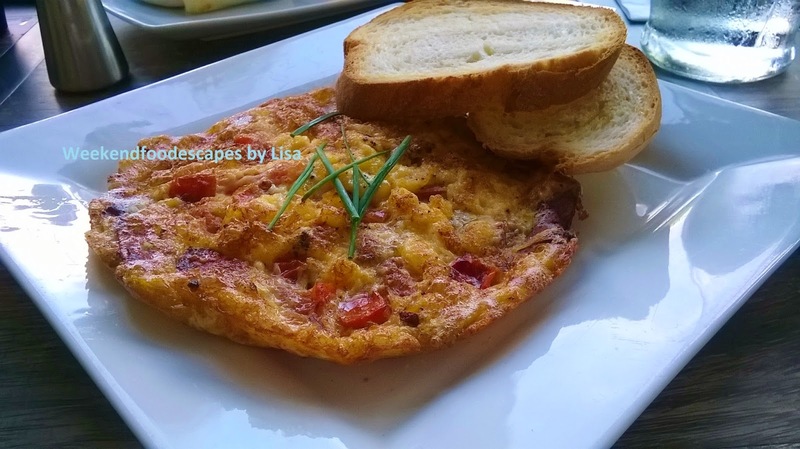 The chorizo Omelette ($13ish) looked like a cross between a flat frittata and an omelette (pictured below). It again was consistent with flavours of egg, chorizo and tomato. I would probably order something else given the opportunity. So overall, a nice cafe but not quite enough to rival your cafes such as Element 6 or hipster cafes like Brewtown, Grounds of Alexandria or Three Williams. 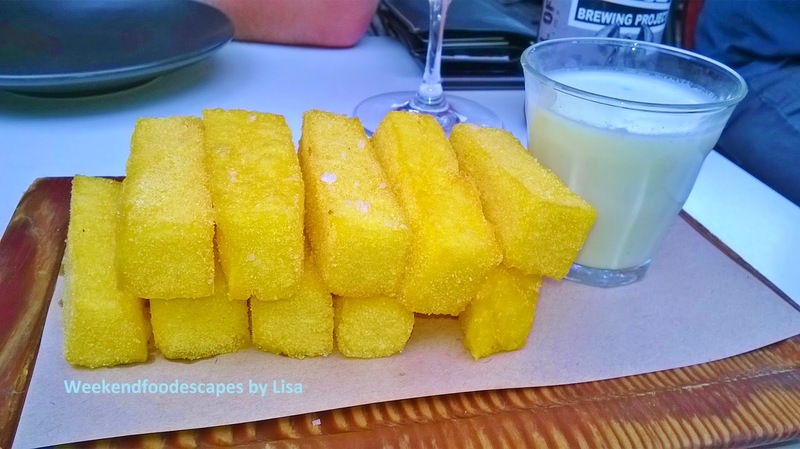 Bloodwood Restaurant is a tapas type style dining experience in Newtown. The 87% like rate is reflective of the great well cooked and flavoursome food, relaxing atmosphere and customer experience. I suggest at least 2-3 dishes per person. 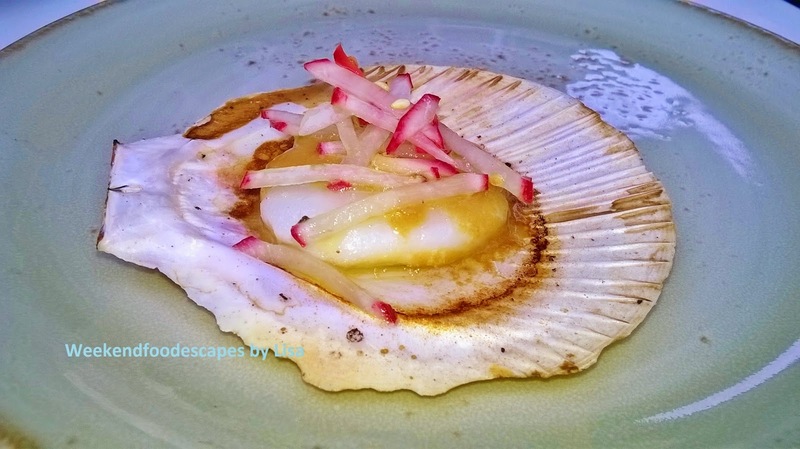 Most of the dishes are $17-$25 so it can add up but worthwhile for that taste of a bit posh. Every single dish that I ordered was so very tasty. Delicious! The polenta chips with blue cheese gorgonzola sauce ($9) are always good to start with. (Pictured above); little rectangles of perfectly cooked polenta with the naughty sauce. 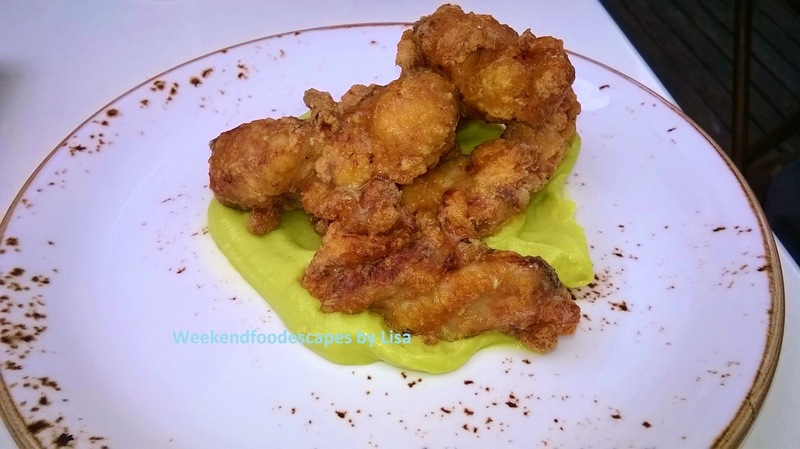 The Wasabi Fried Chicken ($17) with avocado marscapone was very tasty. It was not spicy at all but just very well cooked chicken that sat on smooth avocado marscapone. I wish there were more pieces! A little bit steep at $17 for three pieces but it was delicious (pictured below). 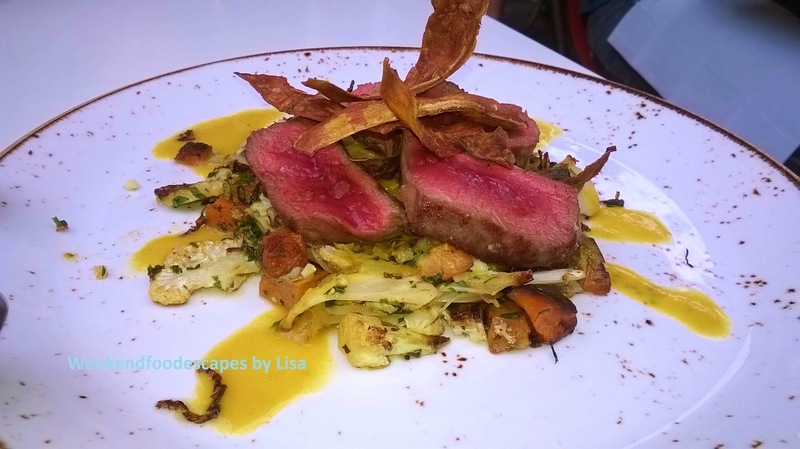 The seared venison with mustard glaze ($25) was served with green garlic, brussel sprouts and kumera. The flavours were amazing and the Venison was perfectly cooked. Again, if only there were more pieces of venison to devour. Equally enjoyable was a small butter poached snapper ($24) was served with peas, garlic chives, olive oil and tea crumbs. 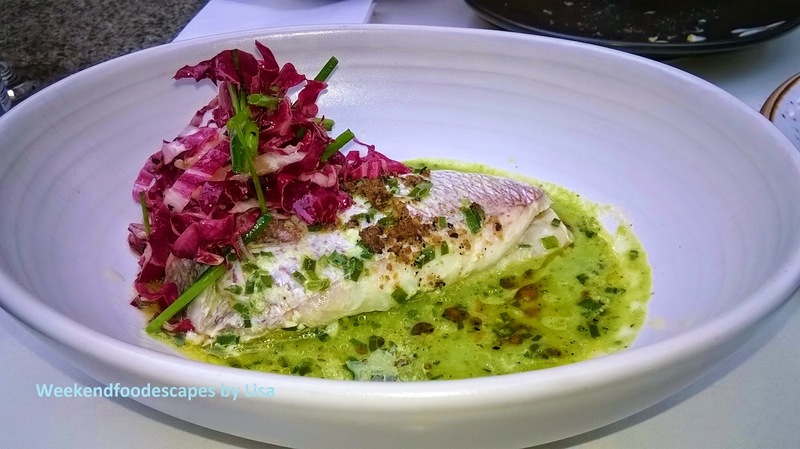 The pea and olive oil broth really brought out the flavours of the fish. The special one off that night (which was not on the menu) was the miso scallop ($5) which I devoured in an instant. 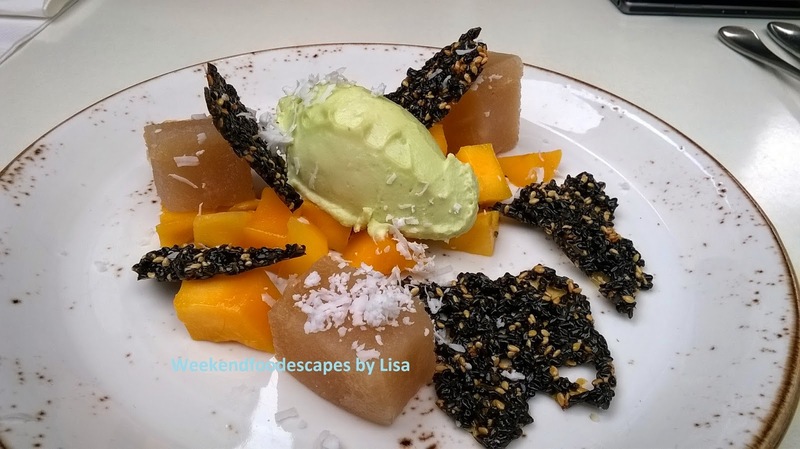 Dessert was asian dumplings, green tea ice cream with black sesame clusters, mango pieces and coconut shavings. Dessert was great but did not quite match the food that I ordered prior. But that's my fault - I choose the dessert! Overall, a great experience with fantastic food, relaxing atmosphere sitting outside in their court yard and attentive customer service. A good restaurant for date or intimate catch up.